Not too long ago, I got very clear about how important it is to express my creativity. I use various forms of visual art and writing to explore ideas and dreams that would otherwise get buried by the busy-ness of daily life. Creative output is an expression of my spirituality because it allows me to listen to my soul’s language. It’s as vital to me as oxygen. Without it, a piece of who I am is missing. 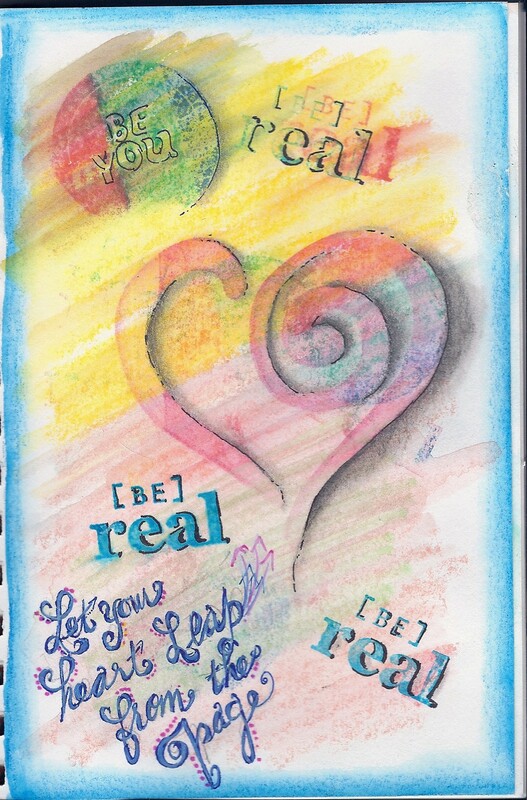 Since one of my focus words for 2014 is ‘Authenticity” I am choosing to live more art-fully each day. I’m even shifting the focus my coaching to attract clients who want to make a living while they follow their bliss. Still, it’s a constant battle. Life gets busy and crowded with too many “shoulds’. I stop making my creative explorations a priority, always thinking I’ll get right back to them. I fool myself into thinking I am actually doing something because I plan to but when I look at the results…. Then I wake up one day and realize I am lonely for my creative self. Again. When I was a kid, I longed for black patent leather shoes with tiny straps with every fiber of my being. I wore them for about a week, feeling self-conscious and drab. They were stiff and uncomfortable and I hated them with all of my ten year old heart. So I did the only thing any sane kid would do. I took them to the creek down the road and set them afloat. The last I saw of them they were headed for Waterman’s Lake. For all I know they’re still there today, terrorizing fishermen who have the misfortune of hooking one. Now, you need to know that my mother was not a woman to trifle with and I don’t remember what transpired when I arrived home barefoot. (Obviously I survived since I’m here to tell the tale.) The fact I don’t remember tells me the important part of this story for me was taking action on something I was passionate about. My creative heart has been wearing those tight brown oxfords again. It’s time to fling them off and wiggle my toes on bare earth again. I want to walk barefoot through my dreams.